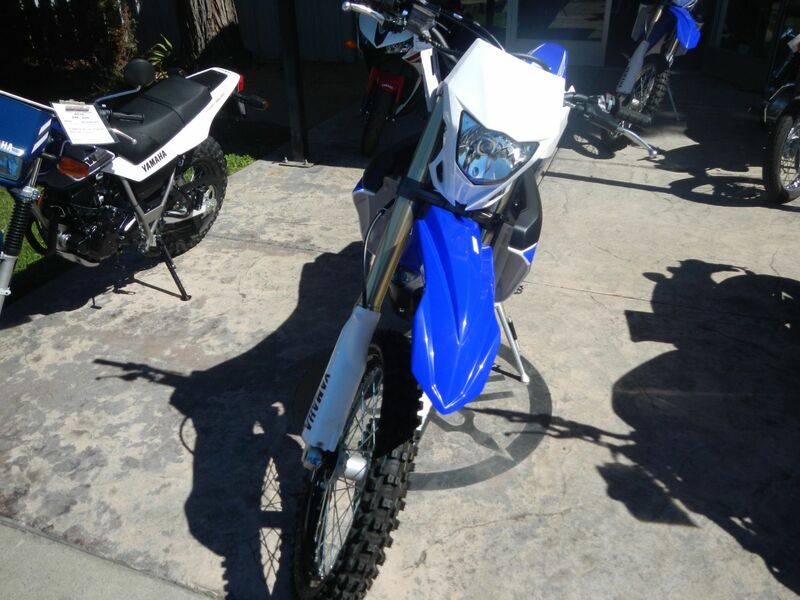 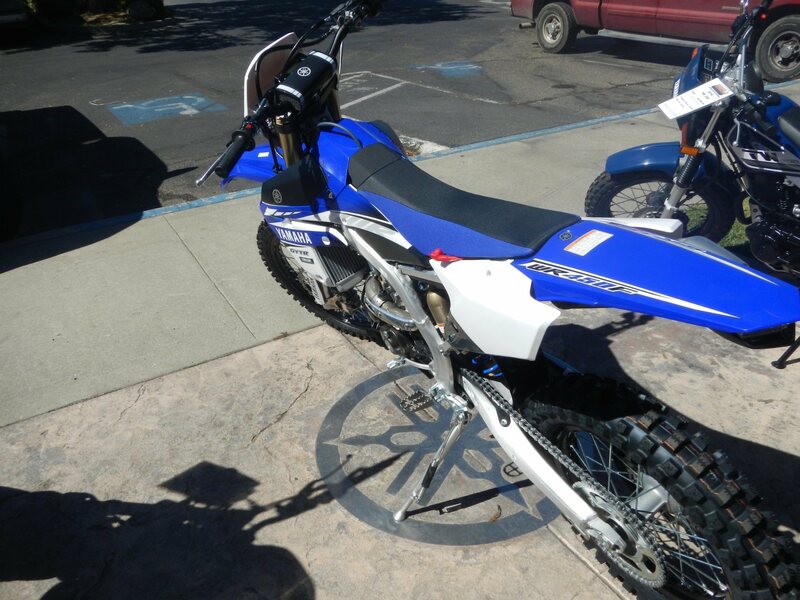 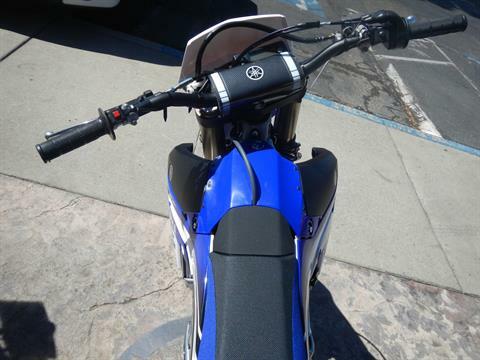 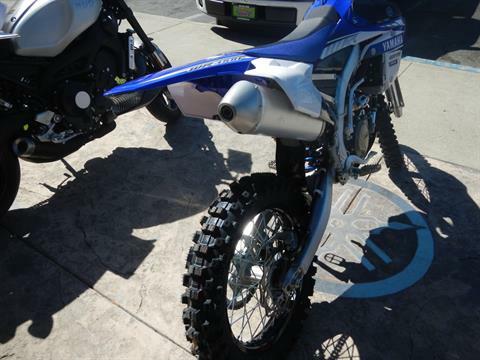 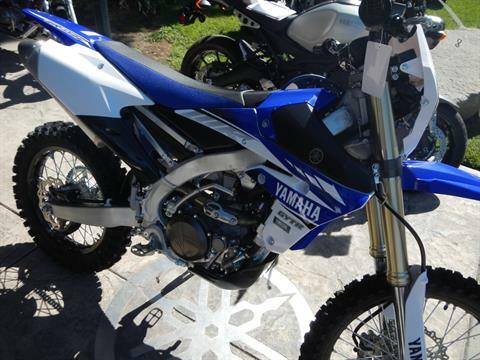 Based on YZ450F, packed with "out-of-the-box" enduro features: 18-inch rear wheel, computer, head and tail lights, CARB and EPS compliant. 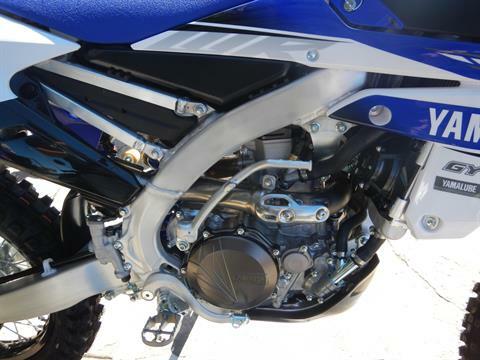 ENDURO-TUNED YZ450F POWER: YZ450F-style 449cc liquid-cooled DOHC four-stroke with four titanium valves and forward intake and rearward exhaust shares the YZ450F’s piston and cam profiles, with WR450F-specific silencer and ECU tuning built for enduro racing. 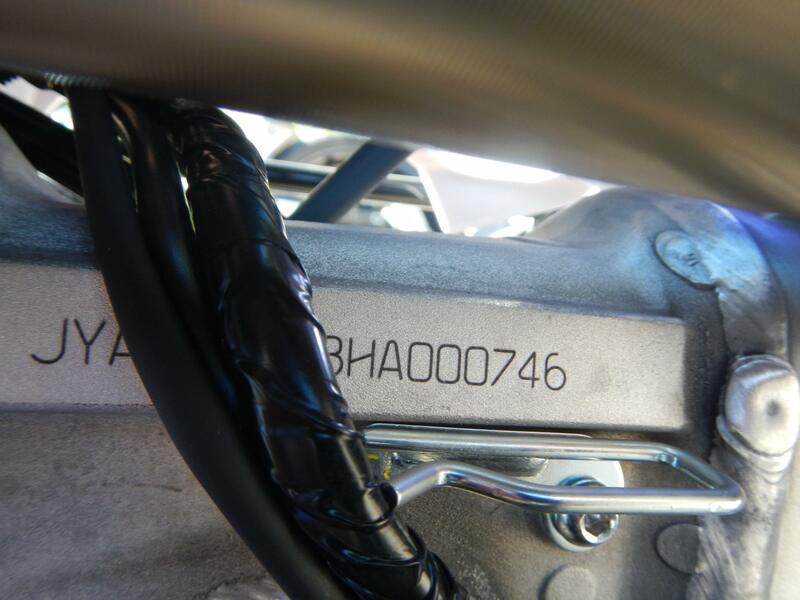 CALIFORNIA GREEN STICKER COMPLIANT AND FORESTRY APPROVED MUFFLER: An aluminum mechanical muffler with USFS-approved spark arrestor keeps things light and doesn’t require routine servicing.